Wedding is the life-time event which every girl waits for. The Wedding dream to look beautiful on their big day has never-ending list. As this a wedding season, Here we come with various Pre Wedding Beauty Tips to look more gorgeous on your day. CTM - Cleansing, Toning and Moisturizing should be your wedding mantra. Make a regular habit of CTM every month. This will reduce pores, aging, reduces wrinkles and removes dead skin cells from the skin. Regular CTM will results in the healthy and fair skin. Skin looks much brighter and glows more than routine. It is recommended to every bride to start meditation as this reduces stress, keeps you calm, and helps the brain to focus more. Try to sit in the calm and peaceful area at least for 10 min every day. Meditation will improve your heart health and controls brain functionality. Maintain proper diet. Don't eat junk food. Never skip any of the meals. Always focus on organic, healthy foods. Drink more juices, rather than cool drinks. It is must to drink more water. Avoid stored foods. Try to consume more fruits and veggies. Prepare a balanced diet and follow it properly. Exercises will keep you healthy. Start any type of work out every day. Make a habit of exercises such as yoga, exercises, gym, etc. depending on your interest. Exercise will keep you fit and shapes your body. Performing proper exercise at least for one hour every day will keep you healthy inside out and you look more glowing and gorgeous on your big day. Bride should get absolute sleep, even more sleep to resist stress and look beautiful. As lack of sleep will make you tired and form dark circles. We advise you to get 7-8 hours of sleep. Getting enough sleep will keep you healthy and increases skin glow. Get facial treatments for your skin and start this before months. Schedule monthly facials prior to 3 months of marriage. Go for skin scrubs. Start eyelashes curls to look eyelashes longer. Make sure to go for regular manicure and pedicure for beautiful hands and legs. Start a habit of regular waxing for hands and legs and if you want to get body wax prior to a wedding. Hairstyle trail is also important as important the wedding dress and makeup trails are. Get hair style before it really goes on a big day. Maintain hair with extra care. Get hair spa ones in a month before 3 months of your wedding. Go for hair treatments and apply home-made hair masks ones in a while. Hair is the one most important ornament which makes you more pretty. If yours is Oily skin, then you need to really work out on it before 1 month of your wedding day approaches. Remove excess facial oil either with treatments or try home remedies. Manage your facial oils with oil-free moisturizers, skip toning, and Go for face wash continuously using a mild face wash. All these tips will help you a reduction of excess oil on your face. 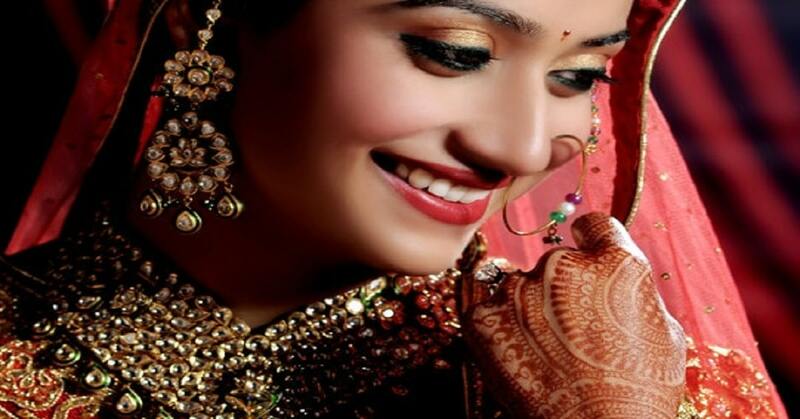 Hire a professional makeup artist and try pre-wedding makeup test and check which suits you a better look. Do not forget to keep an emergency personal makeup kit you. Also, do learn own makeup which helps in emergency time. Get opinions and suggestions from your closed ones who are the perfect guide for you. It's your wedding and you are the center of attraction, so do not mess up with the biggest thing in your list, your "Wedding Dress". Manage time to take trails of your wedding dress before one week of the final day arrives. Check multiple times about the look and get suggestions from your beloved ones. Yes, do not forget to try shoes especially if you are wearing heels, as no one wants to fall on the stage in front of guests. Always try these Pre Wedding Beauty Tips and suggest to every bride to look more beautiful on their wedding day. Keep sharing these Pre Wedding Beauty tips! Stay Beautiful! Look Gorgeous! Smile hard! "Share your experience and doubts in below comments"
The use of ancient beauty secrets for fair skin gives more than what you aim for in an easy and swifter way that you would have ever expected.